Tired of seeing lovely mature trees tortured by hideous vines? Come learn how to use impactful messages, material, and strategies for inspiring our neighbors to remove English ivy from their trees! Through a grant from the Tree Canopy Fund, TreeStewards and Master Naturalists hired the nonprofit environmental communications firm Biodiversity Project to create and test materials for our campaign. That work is done and now we volunteers will learn how to use the material and conduct a wide campaign. To volunteer, come to a one hour training sessions held at Fairlington Community Center, 3308 S. Stafford St. Arlington on either: Monday, March 12, 7:00 PM or Tuesday, March 13, 9:30 AM. You will learn the campaign strategies at the meeting and be able to sign up for tasks such as speaking to neighborhood groups or meeting with your neighbors. 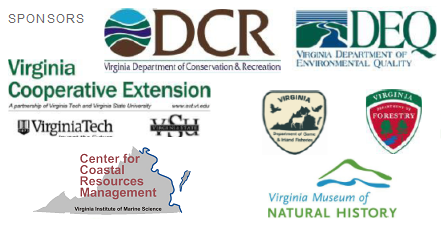 The materials will be publicly available as of March 12. RSVP by emailing info@TreeStewards.orgAlthough the campaign is orchestrated by TreeStewards and Arlington Regional Master Naturalists, any individual or group with an interest in saving trees from ivy is encouraged to join us at the training, participate in our campaign, or adapt the materials for use in a different community. 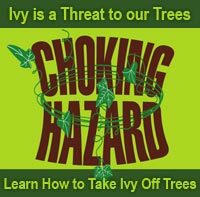 This entry was posted in English Ivy Removal and tagged community outreach, invasives, restoration, stewardship by christinearmn. Bookmark the permalink.